Rack Cards are commonly seen on front counters of any business wishing to introduce or promote product lines or services. 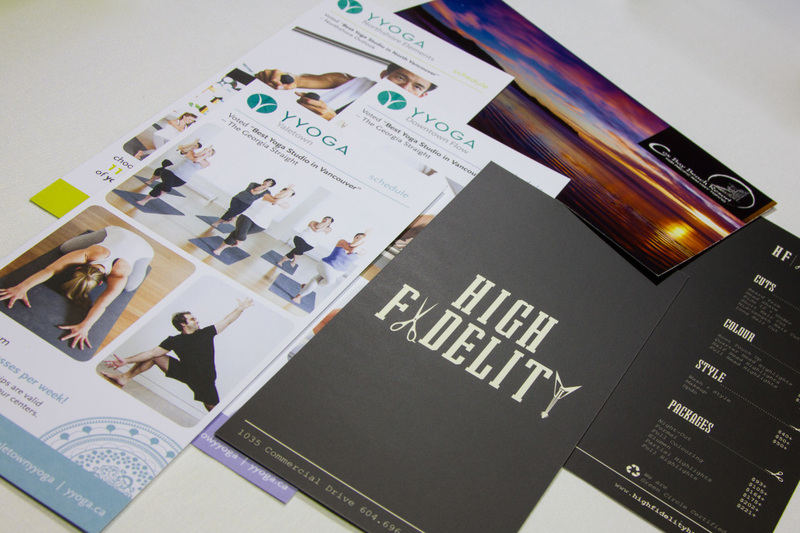 Typically larger than postcards in size, Rack Cards have design elements such as logos, photos and company images on the front and factual information on products and services on the back. 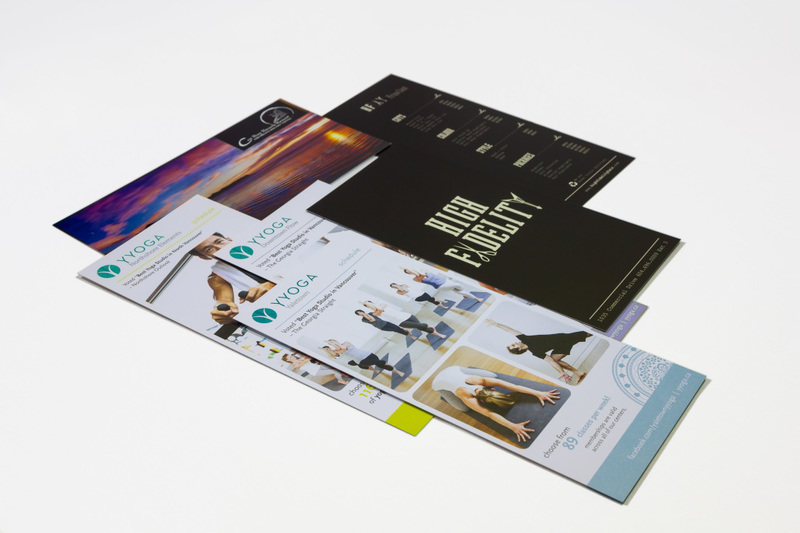 Printing your rack cards at LinxPrint in Vancouver is fast, easy, and environmentally responsible too! Tent Cards are similar to rack cards except for having a base for display on tables or next to a promotional product. They are usually printed in one piece and assembled into a ‘tent’ shape after. View our complete custom designed stationery packages.